Diyarbakir (Turkey) (AFP) - A leading Kurdish lawyer and rights activist was killed in a shootout in Turkey's troubled southeast on Saturday, fuelling accusations that the state was behind his murder and sparking protests in several cities. 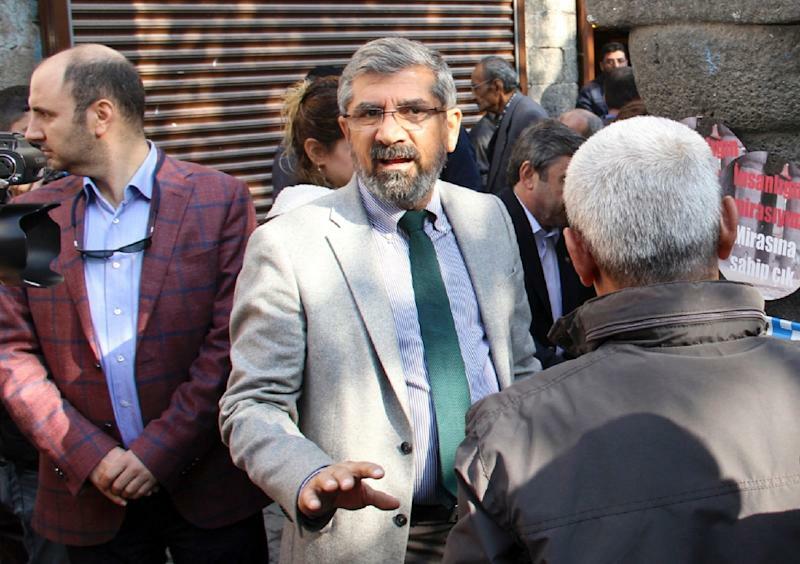 Tahir Elci, head of the bar association in Diyarbakir -- the biggest city in the mainly Kurdish southeast -- and a campaigner for Kurdish rights, was shot in the head while he and other activists were giving a press statement calling for an end to violence. The attack took place near an ancient mosque in the city's Sur district, witnesses told AFP, with the police immediately returning fire. 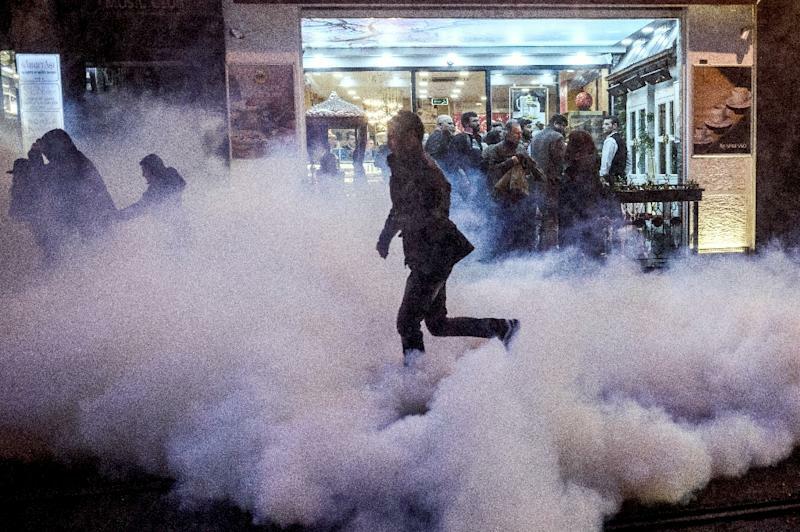 The incident sparked instant protests in Istanbul, Ankara, Izmir and Diyarbakir. Police fired tear gas and water cannons at an irate crowd in central Istanbul who shouted "You can't kill us all", and "The state has to give an account." Police also clashed with demonstrators at Diyarbakir, an AFP photographer said. Elci, who had been detained in October for alleged "terrorist propaganda" on behalf of the outlawed Kurdistan Workers' Party (PKK), was killed by a single bullet to his head, the autopsy showed. A policeman died in the scene and another succumbed to his wounds in hospital while two Kurdish militants were killed later Saturday in clashes in Sur, which had been placed under a curfew, local sources told AFP. 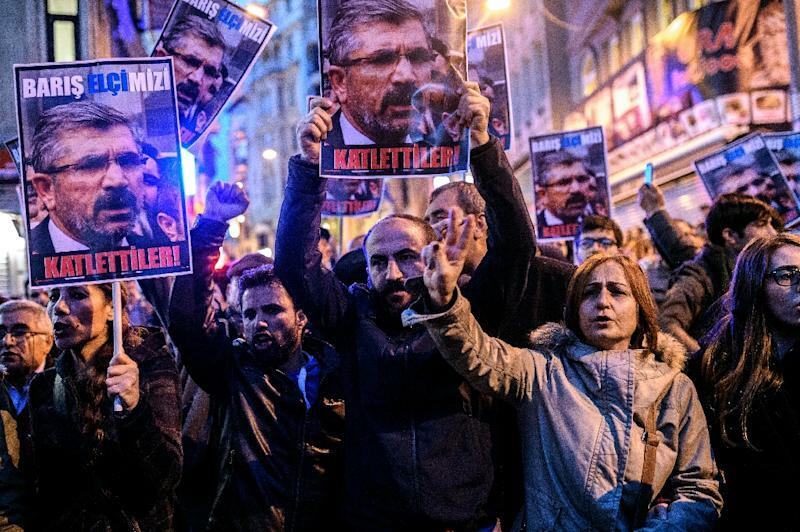 The pro-Kurdish Peoples' Democracy Party termed Elci's killing a "planned assassination" and urged citizens, civil society groups and parties to protest. "The speech was over and we were dispersing. Then we heard one or two gunshots from the street. Police immediately reached for their guns and people hid wherever they could," Nazim Baran Vurak, a lawyer, said. "Then our friends told us that a man was lying face down on the street and he looked a lot like Tahir Elci." Two more police officers tasked with protecting the prosecutors inspecting the crime scene were injured after coming under rocket fire, an AFP reporter said. Prime Minister Ahmet Davutoglu vowed to track down the attackers and promised a "transparent" investigation. "One possibility is that after this terror attack, the assailants assassinated Mr. Elci," Davutoglu said. "A second possibility is that ... Elci got caught in the crossfire." The state-run Anatolia news agency claimed that members of the PKK were behind the incident, while the Dogan news agency, quoting witnesses, said a bearded man had opened fire on the group. Southeastern Turkey has been rocked by a new wave of unrest that has left several hundred people dead since a two-year-old truce between Ankara and the PKK collapsed in July. Since June there have been three deadly attacks on pro-Kurdish activists blamed on the Islamic State IS), including the October 10 suicide bombings at a peace rally in Ankara that killed 103. Turkish President Recep Tayyip Erdogan said he was saddened by Elci's death. "This incident shows how Turkey is right in its determination in the fight against terrorism," he said. The US embasssy in Ankara expressed shock, describing Elci as a "courageous defender of human rights." Elci was released pending his trial over an interview in which he said the PKK, which has killed dozens of Turkish soldiers since the resumption of hostilities, was not a terrorist organisation. "The PKK is a political movement which has important political demands and which enjoys widespread support, even if some of its actions are of a terrorist nature," he had told CNN Turk television, sparking anger. He risked up to seven years in prison, if convicted. The separatist PKK, which launched an uprising against the Turkish state in 1984, is considered a terrorist organisation by Turkey, the United States and the European Union. Ankara has unleashed a new air war against PKK rebels following a wave of attacks blamed on the group, destroying hopes of fresh talks to end a conflict that has claimed 45,000 lives since 1984. Since then, Kurdish fighters have staged almost daily attacks against members of the security forces, killing more than 150 Turkish police and soldiers. Elci had strongly advocated an end to the violence, and his last words in the press statement were: "We don't want clashes, guns and operations in this ancient place."